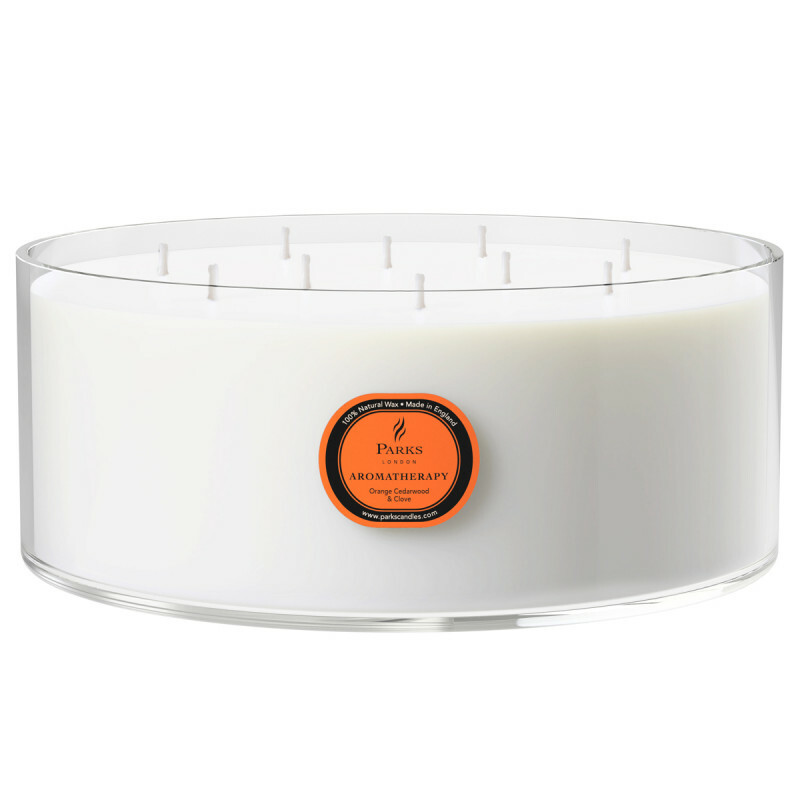 This stunning 10-wick candle is the ultimate luxury gift, featuring the warm, nurturing scent of clove in perfect harmony with sweet orange and zesty lemon blended with rich spicy cinnamon and supported by precious woods. This is the perfect fragrance for relaxing and soothing, helping you or a loved one to unwind and forget about the troubles of the day. Stimulating clove has a range of uses in aromatherapy. Generally, it is an excellent tonic for the mind and body, helping to combat weakness. The wonderful scent of sweet orange has a calming effect, alleviating anger, anxiety and depression. It is a mild aphrodisiac and can assist with lost libido. Sparkling lemon is a powerful antioxidant that can help clear your thoughts and promote concentration. Used in a room where you are working or where children are doing homework, it can help you to stay focused and on task. Promoting mind clarity, lemon is also an excellent natural pick-me-up, alleviating mental fatigue without the need for caffeine! Cinnamon essential oil has a sweet pervading aroma that instantly soothes and calms. Its warming scent is known to banish negative thoughts and depression, helping to lift your mood and promote positivity. 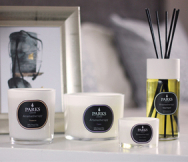 Our beautiful essential oil blend is combined with 100% natural wax, poured into a beautiful glass container and impeccably presented in a stunning black and white luxury box. When given as a gift to family and friends, this sensational candle will make an impact, telling your loved ones just how important they are to you.